Being fully engaged with our profession and all the currents running through it, we constantly seek opportunities to improve our knowledge and abilities through material studies, and art installations. 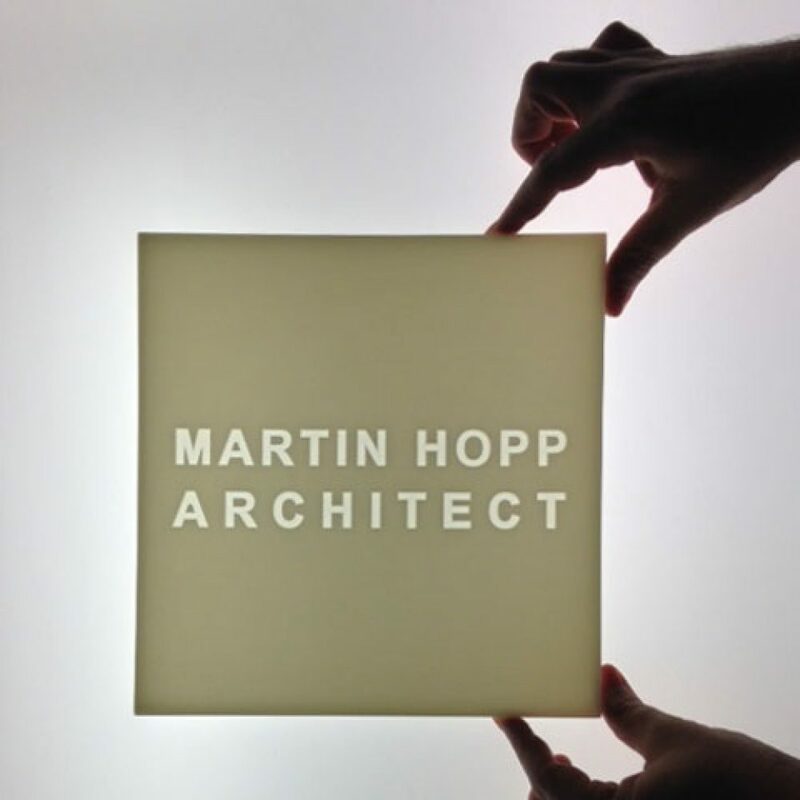 Working both independently, and in collaboration with artists like Liu Fei Studio, Martin Hopp Architect has produced a series of high-profile artistic installations, and more modest architectural studies. As new technologies and practices continue to shape the face of the architecture profession, it is important for firms to keep abreast of recent developments in order to remain relevant, and be able to offer the best possible solutions to their clients. These new developments offer an architecture practice countless new possibilities in developing its working methods and results. In order to best understand all the implications of these possibilities, it is necessary to occasionally undertake tests and studies in ways that ensure flexibility in a low-risk setting, while still maintaining enough real world conditions for the results to be of value. One of the best ways to go about tests of this nature, is through material studies and small mock-ups of larger conditions, both through digital processes and physical models. As opposed to pure research projects without a clear goal or conclusion in mind, studies intended to mimic or replicate real-world conditions have clear finite goals, and are thus more readily open to an evaluation of results moving forward. While investigating new methods and skills is certainly a result of the studies process, it is always in partnership with the output of a usable product. Thus, the studies serve the dual role of education and product generation. An excellent example of this duality can be found in the creation of our office sign. 3D printed from high accuracy resin, the sign has an appearance of engraved stone, while in fact having been built additively on a 3D printer. The design of the text on the sign originated as a two dimensional logo used in other office material. Through creating a 3-dimensional computer model, the 2-dimensional text was translated into 3-dimensional geometries, and the printing, additive logic was maintained in the 3D printing process. The main reason for this choice of process and material was the high level of efficiency coupled with the level of control and oversight afforded to us throughout all stages of the process. While the methods chosen proved very efficient, they also provided an excellent learning opportunity for us to experiment with various aspects of digital modeling, digital fabrication, and 3D printing techniques. This process was also characteristic of our office culture more generally. Our decisions are based not on a single factor, but rather, decided upon holistically so as to best respond to present circumstances. 3D printing the office sign led to a chance to experiment and learn about new procedures and materials, gave us the chance to have more oversight throughout the process, and was cheaper than conventional means of production. In addition to our material studies and investigations, over the past number of years, we have worked in collaboration with Liu Fei Studio on a number of art installation projects. We have found the experiences educational, enriching, and hugely beneficial for all involved. Bringing our architectural expertise in problem solving and organizing into a fluid and creative project environment has not only allowed us the opportunity to hone our traditional architectural skills, but also to develop our skills in digital fabrication and other emerging technologies. At the heart of each project is the vision and intentions of the artist. The finished result is an art piece that connects and engages with audiences. The artist is the creative driver of the project, while the architect provides input and assesses the feasibility of aspects in the proposal. The architect also proposes solutions – both design and structural – to problems voiced by the artist. It is important that what results is a clear expression of the artist’s intentions for the project. The extent to which the architectural aspects of the project are present to audiences depends very much on the intent of the artist, and the specifics of the project. The extent of the presence of architectural elements is expressed clearly in two collaborations with Liu Fei Studio. The artist’s concept called for a space to be inhabited by a single occupant, as an integral part of experiencing an installation called Undifferentiated Matrix. 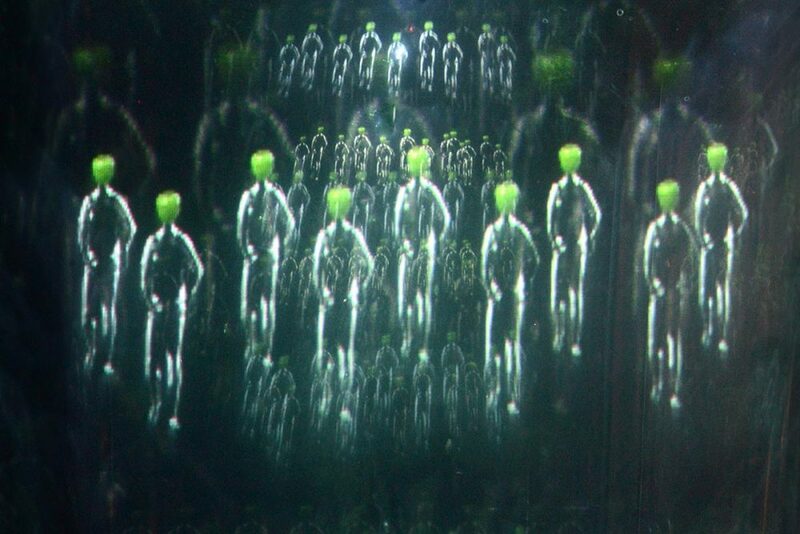 The installation consisted of two glass surfaces that project and reflect a series of images, both still and moving. In the first collaboration, the project was to be installed within an art gallery’s existing space. We drew up construction drawings to fit the installation into and around the gallery’s existing features. The result was a temporary structure supporting the glass panels, with a small intimate space between them set apart from the rest of the gallery by a glass door. While the space directly outside the installation was a slightly narrow, and a bit awkward, the space for the installation itself was very successful. Our efforts to construct the project were essential to the successful adaptation to the space. 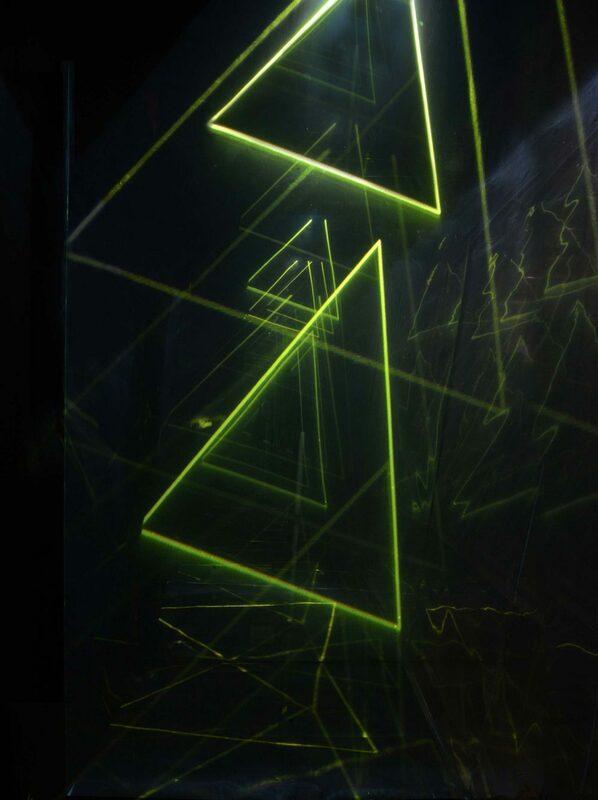 In the second collaboration, the same installation was to be given a dedicated space independent of its surroundings. With the artist, we designed an enclosure similar to a shipping container to enclose the intimate space and protect the installation components. This structure would be movable, and could be placed in various settings like public parks, or galleries. The exterior is finished with concrete fiber panels, with an austere, minimalist aesthetic. The goal of this project was to allow the same installation to take on a new life and engage with an expanded audience; a goal that was only possible through architectural interventions. In the first collaboration, the structure of the installation is almost completely hidden to the viewer/participant. Meanwhile, in the second collaboration, the architectural structure surrounds the installation, defining its space, and fully becoming part of the installation experience.